We write in support of the proposed Free Speech Protection Act of 2008 (S. 2977). We are a professional organization of over 16,000 members that represents the interests of scholars, authors, artists, libraries, museums, and other individuals and institutions who work in the arts in the United States. We publish three scholarly journals, and support the publication of books and other scholarship through grant programs, an influential annual conference, a website, and other activities. As publishers, and as the representative of authors, artists, and scholars, we urge the Senate to approve S. 2977 expeditiously in this congressional session. The United States is a beacon of free and open discourse. We produce some of the most widely respected and valued scholarship in the world, as well as some of the most influential art. Other countries and individuals worldwide look to us to set the highest standard for the free exchange of ideas, and our Constitution and Bill of Rights give us the ability to meet that standard. Now, as publishing becomes ever more globalized, our freedom to publish under United States law is threatened. Libel suits filed in foreign countries pose a grave danger to the free speech rights of American authors, journalists, publishers, and readers. S. 2977 provides authors and publishers with urgently needed protections. This is an excellent bill, and its broad bipartisan support shows that Americans are united in our respect for and reliance on our cherished independence. We must not allow the libel laws of other countries to undermine American laws or chill protected speech. S. 2977 is modeled on the recent New York state law that broadens the jurisdiction of New York courts to ensure that foreign libel judgments not be enforced unless they meet New York and U.S. constitutional standards. S. 2977 adds further force to this excellent law by authorizing authors to countersue foreign plaintiffs in a U.S. court for damages of up to three times the amount of the foreign judgment if the foreign plaintiff acted to suppress the speech of the U.S. person. Passage of S. 2977, the Free Speech Protection Act, is essential to ensure that weaker protections for free speech in other countries do not undermine our fundamental First Amendment freedoms. CAA held an editorial workshop in July to discuss the advantages and legal risks of publishing—journals, websites, conference sessions, publications, and the like—in an international environment, and to explore protective practices and policies that could be considered by CAA in the future. The workshop brought together legal experts, censorship experts, free-speech advocates, and commercial and university-press publishers together with members of the CAA Board of Directors, the editors and reviews editors of Art Journal, The Art Bulletin, and caa.reviews, and CAA staff. CAA has prepared and is making available this summary of the workshop discussion to inform CAA and its members, as well as other organizations and individuals, when considering these issues. These notes do not represent CAA policy, nor do they constitute legal advice. CAA hopes, however, that they will be of use to authors and editors in developing and implementing appropriate editorial processes in connection with their publishing activities. It’s no secret that digital technology is changing the way art is taught, but exactly how is still being worked through by professionals across the country. In a recent article, Laura Devaney of eSchool News explores how computers and the internet can enhance the teaching of traditional mediums such as drawing, painting, and ceramics, as well as improve the learning of basic concepts such as line and shape. Devaney talks to art educators from secondary schools and at the college level about their experiences using new software and programs to complement hands-on art making. The Solomon R. Guggenheim Foundation has named Richard Armstrong to the position of director of the foundation, beginning November 4. He had served as Henry J. Heinz II Director of the Carnegie Museum of Art in Pittsburgh since 1996 before announcing his resignation in June. Armstrong succeeds Thomas Krens, who stepped down earlier this year. 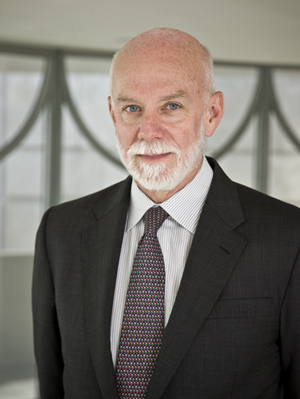 As director of both the foundation and its flagship museum in New York, Armstrong will focus on the pivotal role of that museum and its collection while also providing leadership and management for the three other Guggenheim institutions in Venice, Bilbao, and Berlin, as well as the Guggenheim Abu Dhabi Museum, scheduled to open in early 2013. “The collapse of Lehman Brothers is destined to pass like a cold wind through the museum world,” reports Artnet.com, “which has leaned on the investment firm for untold millions of dollars in arts patronage.” Museums nationwide, from the Metropolitan Museum of Art and Asia Society in New York to major institutions in Los Angeles, Dallas, Philadelphia, Chicago, and San Francisco, will all need to look elsewhere for charitable donations. In addition, arts institutions in England, France, and Germany—not to mention domestic arts-education programs for school children in the US—will also see funding evaporate from the $39 million that Lehman Brothers gave as charitable gifts in 2007. David Segal and Jacqueline Trescott at the Washington Post write that “Lehman may never hand out another charitable dime; the immediate future of the firm’s philanthropic foundation, like everything else about it, is now a matter of bankruptcy law. But the fear isn’t limited to those groups that were getting money from corporate America’s recently deceased and badly wounded. There’s agita all around.” Segal and Trescott talk to arts-institution directors and corporate funders to scope out the current state of funding in light of recent financial events. See also Philip Boroff’s “Life After Lehman: Nonprofits Brace Amid Bankruptcy” on Bloomberg.com. The Americans for the Arts Action Fund PAC issued today its Congressional Arts Report Card, covering the 110th Congress (2007-2009). The entire Report Card contains letter grades and numerical scores of every member of Congress based on his or her voting record on arts issues. The 2008 Congressional Arts Report Card reveals that 181 members (43 percent) of Congress received a grade of A or higher. When the grades of the members of each state delegation are averaged on a state-by-state basis, the highest scoring state delegation is Maine, with a perfect score of 100. Alaska and Wyoming are the lowest scoring state delegations with a score of 20 points each. Additionally, the Arts Report Card shows that support for the arts is bipartisan and growing, as evidenced in the nearly 24 percent increase in membership of the Congressional Arts Caucus since 2000. Also, 21 representatives improved their Report Card scores by one letter grade or more from their 2006 Report Card grade. CAA invites you to join one of our nine diverse, active Professional Interests, Practices, and Standards Committees. These committees address crucial issues in the fields of art and art history and help to shape CAA’s activities and goals. Committees initiate and supervise ongoing projects and recommend new programs and formal statements and guidelines to the Board. Joining a committee is also an excellent way to network with other members and to provide service to the field. Committee members serve three-year terms (2009–12), with at least one new member rotating onto a committee each year. Candidates must possess expertise appropriate to the committee’s work and be current CAA members. Members of all committees volunteer their services to CAA without compensation. CAA’s president and vice president for committees will review all candidates and make appointments prior to the 2009 Annual Conference in Los Angeles, California. All new members are introduced to their committees at their respective business meetings at the conference. Nominations and self-nominations for committee membership should include a brief statement (no more than 150 words) outlining the individual’s qualifications and experience and an abbreviated CV (no more than two pages). Please send all materials to: Vice President for Committees, c/o Vanessa Jalet, Executive Assistant, CAA, 275 Seventh Ave., 18th Floor, New York, NY 10001. Materials may also be sent to vjalet@collegeart.org; email submissions must be sent as Microsoft Word attachments. Deadline: October 17, 2008. CAA recently launched a new section of its website called Intellectual Property and the Arts. This section provides links to CAA’s activities on intellectual-property and copyright matters and to useful websites and resources of other organizations. Included in the section are links to authoritative texts by universities, library organizations, and the US Copyright Office; suggestions for clearing permissions and rights for images used in publication; and articles by CAA’s Committee on Intellectual Property from past issues of CAA News, on topics such as the legal status of appropriation in art, work for hire, and artists’ moral rights in their artworks. CAA’s members are both copyright owners and users of copyrighted material. Artists and authors create new works, and many also quote from or repurpose material created by others. CAA encourages all members to become familiar with intellectual-property law as it affects you. The National Endowment for the Arts announced today that Dana Gioia, chairman of the NEA since 2003, will leave his position in January 2009. He will return to writing, his primary occupation prior to leading the endowment. Gioia will also join the Aspen Institute on a half-time basis as the first director of the Harman/Eisner Program in the Arts. Under Gioia’s leadership, the NEA has effectively democratized its programs and services, maintaining the highest artistic and educational standards and while achieving unprecedented outreach to millions of Americans. Gioia has also made arts education central to the agency’s mission, creating many programs that combine the presentation of arts with arts education to foster the next generation of artists, audiences and patrons.